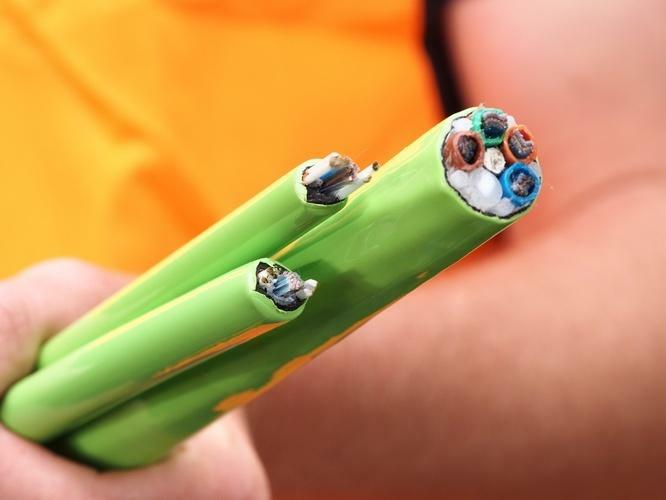 The push by the company behind the National Broadband Network (NBN), to have elements its multi-technology mix rollout incorporated into the regulation that governs its pricing has been dismissed by the Australian competition watchdog. The Australian Competition and Consumer Commission (ACCC) has lodged a draft decision to reject nbn’s proposed variation to its Special Access Undertaking (SAU) to include new technologies such as fibre-to-the-node (FTTN), fibre-to-the-building (FTTB) and hybrid fibre coaxial (HFC) - all essential elements of the company's so-called multi-technology mix (MTM). The SAU has been a key part of the NBN framework for regulating prices and a range of non-price matters in relation to nbn’s supply of wholesale services until 2040. It is a key part of the regulatory framework that governs the prices nbn, as a wholesale open access telecommunications network, can charge for the services it supplies to retail telecommunications companies, as well as other terms. The ACCC’s draft rejection comes with concern relating to three matters: changes to service definitions that would allow future technologies introduced by nbn to be covered by the SAU without a further SAU variation; removing the definition ‘network boundary point’ from service definitions; and locking in provisions relating to ‘co-existence’ and ‘remediation’ for FTTN and FTTB services, which would allow nbn to provide services at lower data rates in certain circumstance, for the remainder of the SAU term. The company submitted its proposed SAU variation to the ACCC in May last year. In nbn's proposal, the company identified that, although these technologies are not currently reflected in the SAU, nbn has so far been offering these services in a way that is consistent with it and the variation will formalise the arrangements that are currently in operation. The current version of the SAU, which the ACCC accepted in end 2013, only covers fibre-to-the-premises (FTTP), fixed wireless, and satellite technologies. The decision to accept the SAU followed two years of extensive consultation and assessment by the ACCC. In April 2013, the ACCC released a draft decision indicating that the SAU submitted by nbn in December 2012 did not meet the relevant criteria for acceptance. The ACCC then consulted on a draft notice to vary in July 2013, on the detailed changes required to address the ACCC’s concerns. The ACCC then gave nbn its final notice to vary in October 2013. In January 2012, telcos stepped forward to voice their concerns over the insufficient powers the ACCC can wield over the NBN under nbn’s SAU. This followed the submission and withdrawal of two previous undertakings, which dates back to December 2011. ACCC chairman, Rod Sims, said most of the changes proposed by nbn “would remain in effect” until the end of the SAU term in 2040, and agreed with the overall approach that nbn has taken to incorporate the additional technologies into the SAU. “As the ACCC can only accept or reject an SAU variation, our concerns mean that our draft decision is to reject the variation. However, we have provided clear guidance in the draft decision on how nbn can address these concerns and introduce these new technologies into the SAU,” he said. The ACCC rejects variations unless it is satisfied that the varied SAU terms would promote the long-term interests of end-users and are reasonable. The Commission is now seeking further views around the SAU pricing provisions that would apply to NBN services provided over these additional technologies, as the application of the price terms was not raised in its previous consultation paper on the SAU variation. The regulator is also expected to consult further on proposed changes to nbn’s rollout information commitments, with the company recently implementing measures to increase the information it makes available to access seekers and the public. The ACCC will be taking in submissions on the draft till 21 April.